Princess Marie-Astrid and husband Archduke Carl-Christian were in Romania on Friday and Saturday to attend the funeral of Queen Anne of Romania, who died earlier this month at the age of 92. Queen Anne was the daughter of Prince René of Bourbon-Parma, a brother of Prince Felix of Luxembourg and Empress Zita of Austria. 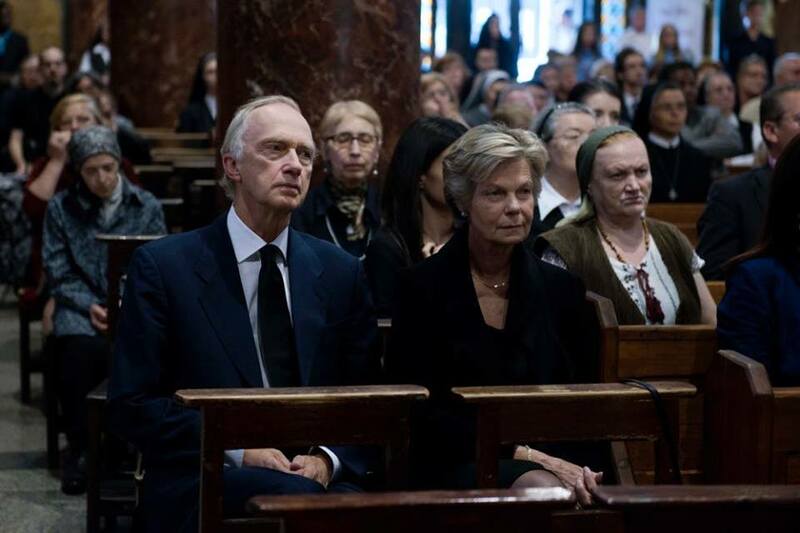 Princess Marie-Astrid was the official representative of the Grand Ducal Family at the events surrounding the funeral as announced by the cour in advance. On Friday, a mass for Queen Anne was held at the Saint-Joseph Cathedral in Bucharest. A day later, she was laid to rest in Curtea de Argeș. The funeral was also attended by Marie-Astrid's cousin Princess Anita of Hohenberg, daughter of Princess Elisabeth of Hohenberg, as well as Princess Anne de Ligne, daughter of Princess Alix of Luxembourg. More picture and videos on the website of the Romanian royal family here and here.